HAPPY TWO THOUSAND AND THIRTEEN, EVERYONE! May this year bring many joys to you and your loved ones. 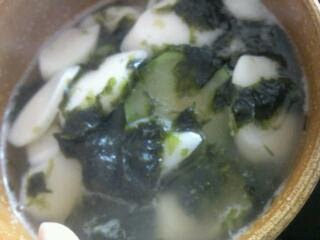 Here is the rice cake soup AKA New Year's soup I had for the first meal of 2013. Cook more often, for myself and others - house parties!